This course will bring you to the professional side of diving, by guiding certified diver and assist diving instructor during scuba lessons. You would like to change your life, career, place? The adventure start here with the Divemaster course, the first professional scuba diving level. 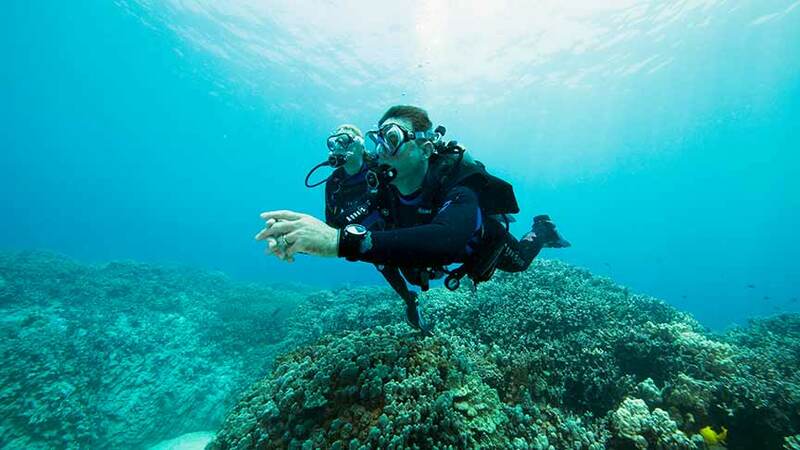 With the Divemaster certification, you can work as guide or assist an instructor during a course. We require for this course a high implication from the candidate. 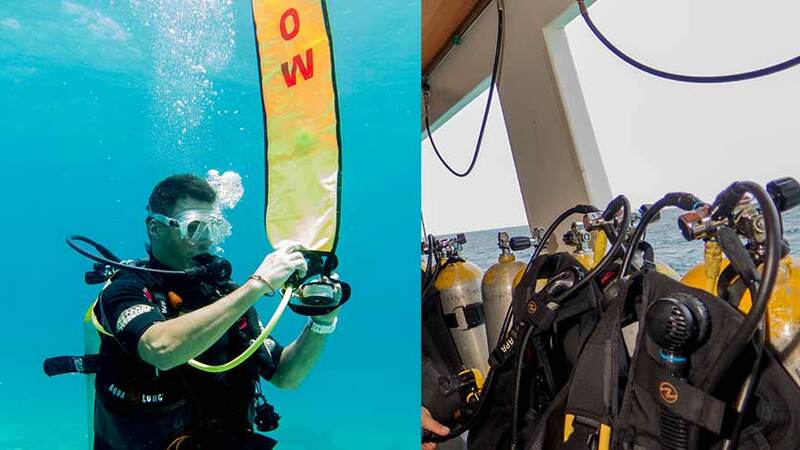 Either you do the course for a personal challenge or to plan a career and maybe become an instructor, we consider this course as the most important of your dive career. Be certified PADI Rescue Diver (Level 3) or equivalent. 15 Baot dives and 10 Beach dives. On top of the express course, you will assist your instructor during 3 weeks and improve your knowledge and diving skills with our students. If you need more dives to complete the course and reach 60 logged dives, we offer you a price for your following dives. We cover the theory and the skills workshop in the pool, then the practical assessment in open water with 9 dives. You need 55 logged dives to begin with this formula. Manual and book needed for the course and divemaster slate to perform briefing, assisting courses. This pack is mandatory for the course and contain a sticker to validate your certification. PADI Fees: the professional fees are around 5,500 THb and are mandatory after the course, you have to renew it every year to keep in active status and be able to work. knowledge development, you will complete 8 chapter in the classroom and personal study. water skills development, you will perform a 400m swimming test using any stroke in the pool, and 800m with fins, mask, snorkel, a 100m yard inert diver tow, finally a stress test and 15-minute Tread. in pool perform the skill workshop with the 24 basic skills demonstrations. Practical Application and Assessment you will assist an instructor in Open water diver course, a Scuba review, skin diver course and discover scuba diving program. you will be tested on your performance of guiding, conducting a dive briefing. 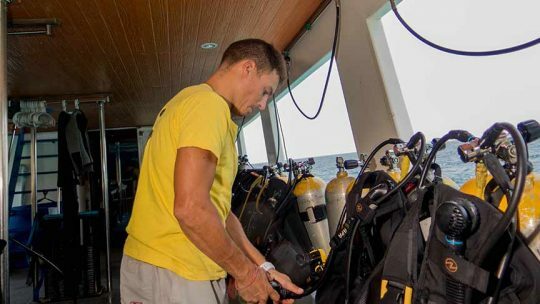 Why Doing a Divemaster Course? You want to change job, get new opportunities and traveling or simply increase your knowledge of diving, so start you Divemaster course today. Start to work as a dive guide or assistant instructor in dive resort.